There are several playa areas within the parishes offering a wide range of facilities to various age groups. The Parish Council employs two park caretakers who check twice daily that both the Parish Council owned parks are free of litter and hazards. Diamond Park, Barley Road, Thelwall (Parish Council owned). Jubilee Park, Euclid Avenue, Grappenhall (Parish Council owned), which includes a five aside football pitch, basketball post and large open recreational space. Morris Brook Park, Bellhouse Lane, Grappenhall (WBC owned) can be accessed from the GYCA/Parish Council Car Park on Bellhouse Lane. Elizabeth Park, Bell Lane, Thelwall (WBC owned). 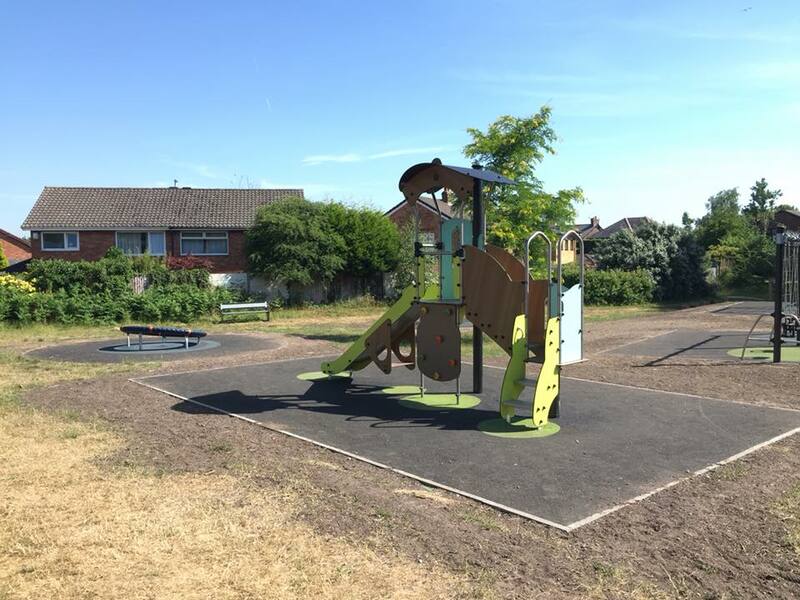 Diamond Park and Morris Brook Park are particularly suited to younger children whilst Elizabeth Park and Jubilee Park also offer facilities for older children too. Jubilee Park, Euclid Avenue, Grappenhall. Diamond Park, Barley Road, Thelwall. Proludic Gyrospiral, Diamond Park, Thelwall. Kompan Supernova, Jubilee Park, Grappenhall. 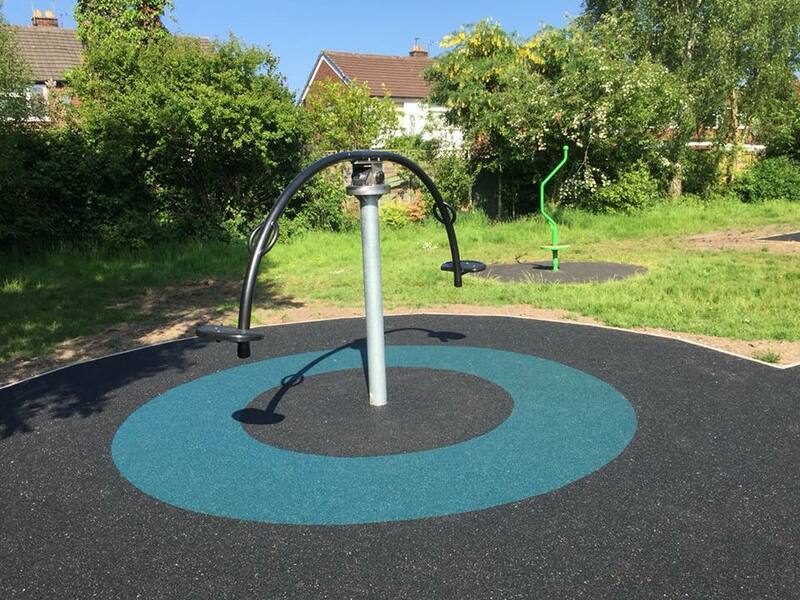 Both Diamond Park and Jubilee Park play areas were fully refurbished in May/June 2018. The Parish Council successfully applied for WREN grant funding to enable the work to be undertaken. The old equipment was worn out and some pieces had been removed due to safety concerns which left the parks looking tired and unappealing. 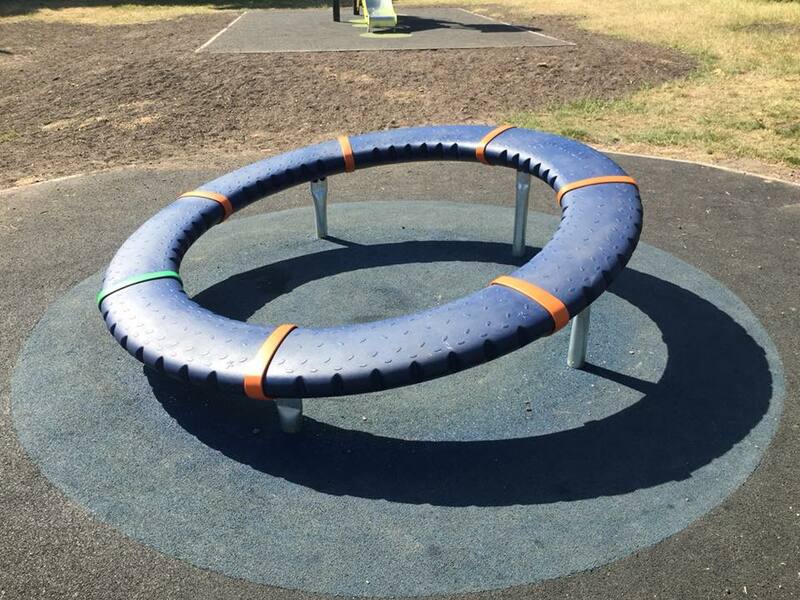 A consultation was undertaken for both parks to seek the views of local residents and park users to establish what new sort of new equipment would be preferred. Play equipment options were presented and participants were able to choose their top 4 favourites. The results were then analysed and this information was used to select the best pieces for each of the parks. 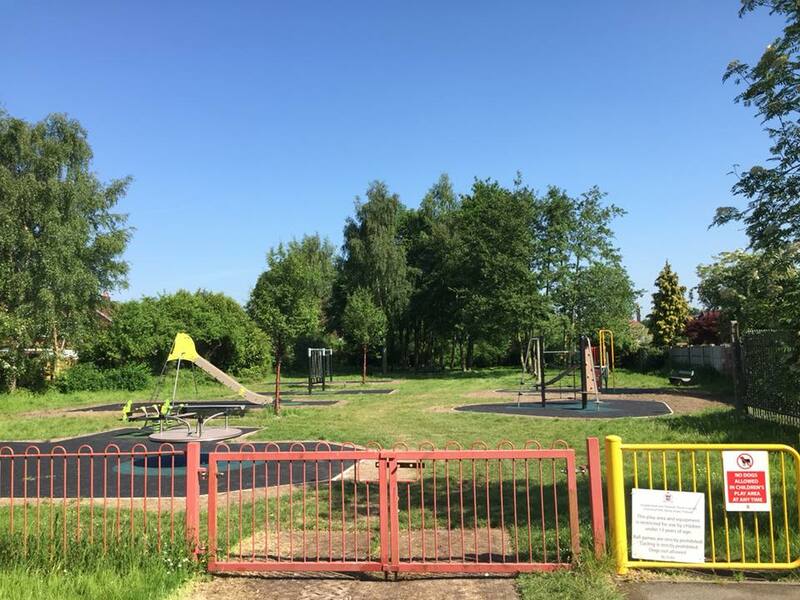 Diamond Park was refurbished at the end of May 2018, immediately followed by refurbishment of Jubilee Park in June 2018, so that both play areas would be ready for the summer. The new play equipment was provided by Proludic Ltd (apart from the rotating Supernova at Jubilee Park which was sourced from Kompan Ltd). The grants were awarded by WREN, a not for profit business which awards grants to community projects from funds donated by FCC Environment to the Landfill Communities Fund. 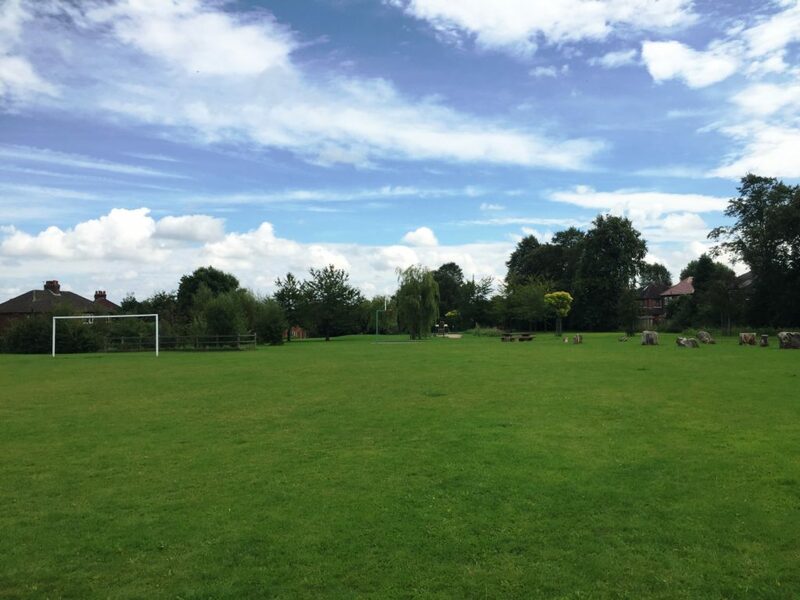 A grant of £43,131.00 was awarded for Diamond Park and a grant of £49,710.00 for Jubilee Park.Additional funding was also provided by the Parish Council. The grants were used to purchase new play equipment, play safety surfaces and benches. Richard Smith, WREN’s Grant Manager for Halton and Warrington said ‘WREN is committed to funding projects that make a real difference to local communities, children and families. 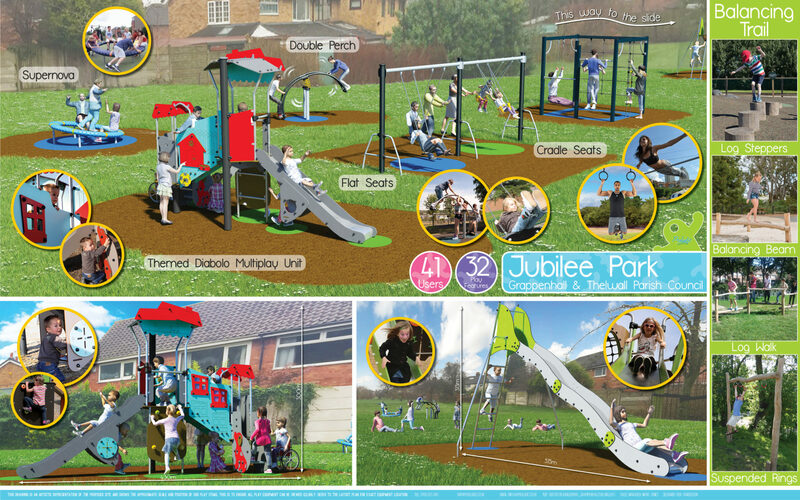 The Diamond and Jubilee Park projects will provide fantastic spaces for local people to get outdoors and have some fun. We’re delighted to support Grappenhall and Thelwall Parish Council to make this happen’.